Purpose: Use this document as a reference for how to enter employee pay increases using steps in ctcLink. Enter the EMPLID into the Empl ID field and select the Search button. Click the Add a Row button to record the pay rate change. Enter the new Effective Date in the Effective Date field. The system will default to today’s date, but can be modified. Select the appropriate option from the Reason drop-down menu(i.e. step progression, percentage change etc.) In this example Step Progression was selected. Click the Salary Plan tab to specify the changes to the employee’s salary plan. Click the Salary Admin Plan lookup icon and select the desired code. Click the Grade look up icon and select the desired grade. 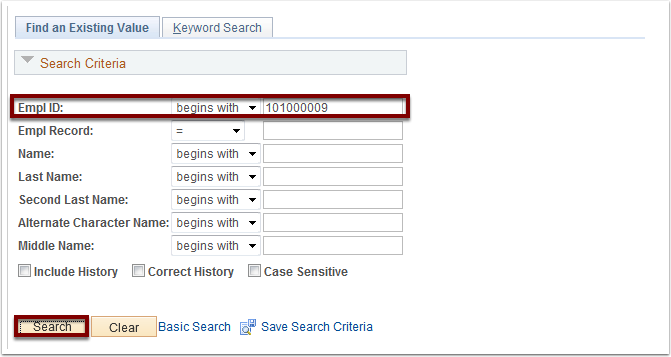 Click the Step lookup icon and select the desired step. The Step Entry date will default to the effective date. If the employee is to remain on a specific Step Increment Schedule, the Step Entry date MUST BE manually adjusted accordingly. Click the Compensation tab to specify the compensation rate for the employee. Click the Default Pay Components button to execute rate code defaults. The rate code defaults specify previously defined values. 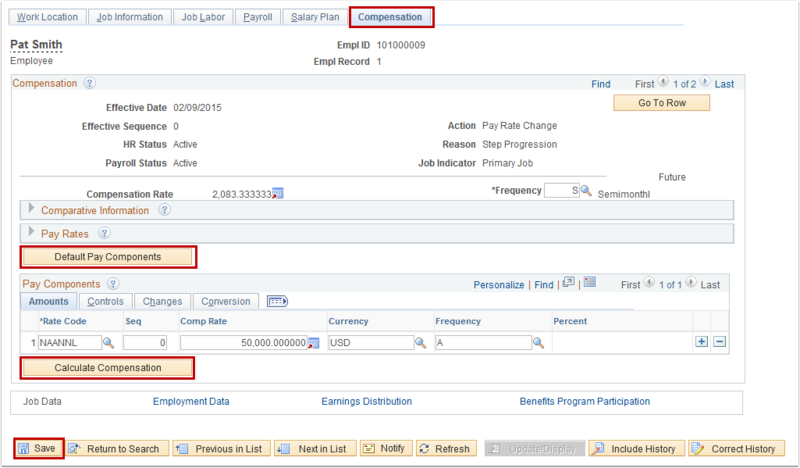 Click the Calculate Compensation button to recalculate the employee’s compensation.